Here is a post of a different type – Bread! 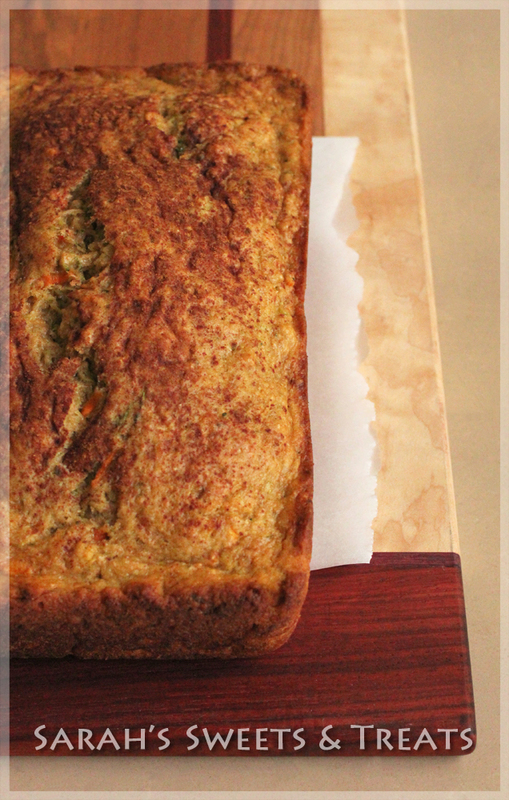 I had some Zucchini that needed to be used up so I used it in some bread! 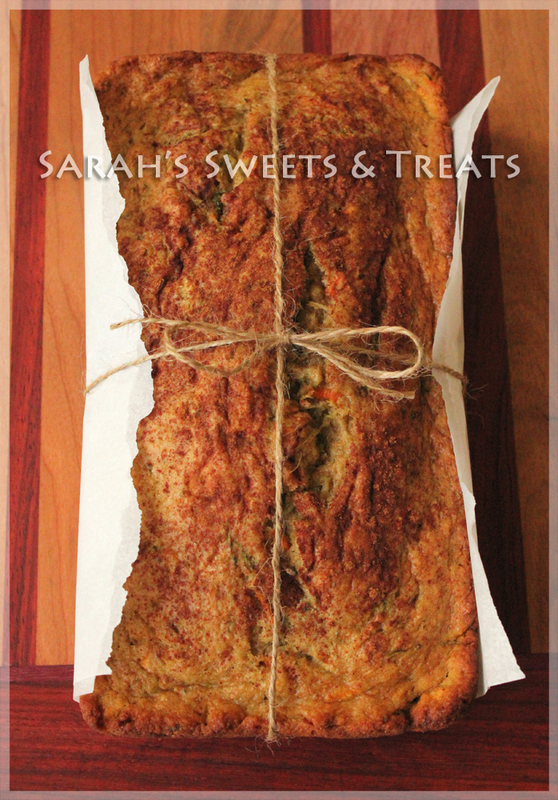 Healthy Zucchini Bread! It has whole wheat flour, very little oil/fat and sugar, and gets its moisture from the addition of applesauce. For a little bit more of a veggie kick I added some grated carrots. To spice it up there is also cinnamon in the batter and sprinkled on top! This recipe turned out super moist! I could taste the cinnamon, zucchini and carrots. It was not too sweet, but it was not overly savory either, very middle ground. My only problem with this recipe is that over time it got a little too moist, I think from the zucchini, which made it really dense. 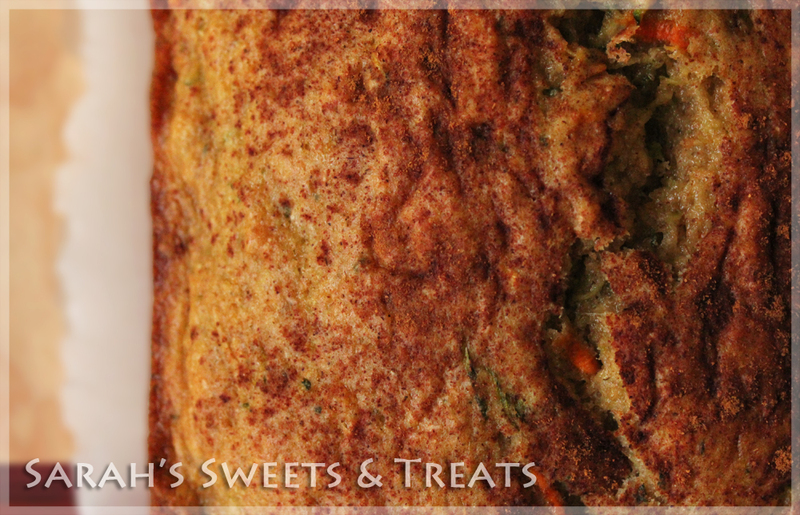 I have plans to find and perfect a zucchini bread-muffin recipe in the future! I brought some of the extras to a friend, all packaged up. They liked it too! 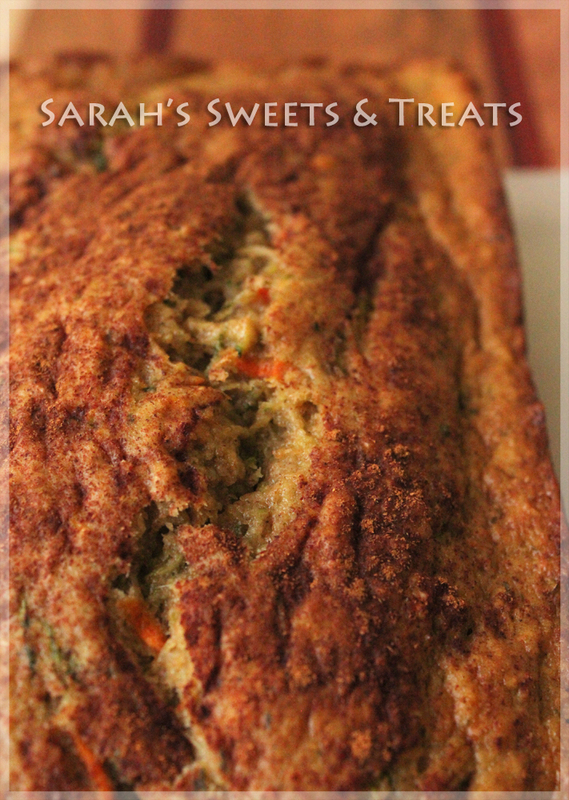 This entry was posted in Bread, Updates and tagged bread, carrot, healthy, loaf, pictures, vegetable, zucchini. Bookmark the permalink.